What makes a Lease Pull Ahead so attractive for so many people? Many people find a Lease Pull Ahead program to be attractive because this program allows you to get out of your current leased vehicle and into a new one without some of the costs associated with terminating your lease early. What do I get if I qualify for a Lease Pull Ahead? Up to 3 payments on current KMF lease PLUS a $400 Disposition Fee. Any new MY17 or MY18 Kia model (lease/retail) with less than 1,000 miles and untitled dealer demonstrators with up to 6,000 miles. 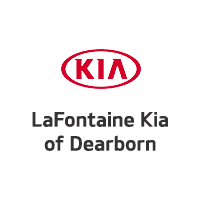 Customer eligibility may vary – please contact LaFontaine Kia at (888) 984-0968 to check your eligibility. Existing KMF lease customers must be in good standing with KMF, payments already posted or accrued are NOT eligible for this offer and will not be refunded to the customer. Customer must take delivery of any new MY17 or MY18 Kia model. Q: Why should I consider Pulling Ahead out of my Lease? Q: How many monthly payments does a typical Lease Pull Ahead program take care of? A: A typical Lease Pull Ahead program is structured to cover a predetermined number of remaining payments, with a maximum value on those payments. Example: KMF is offering a Lease Pull Ahead program that covers up to 3 remaining payments when a customer leases or purchases a new Kia financed through KMF.